5 out of 5 rating See my video tub demo below, cose up to see the silver glitter. 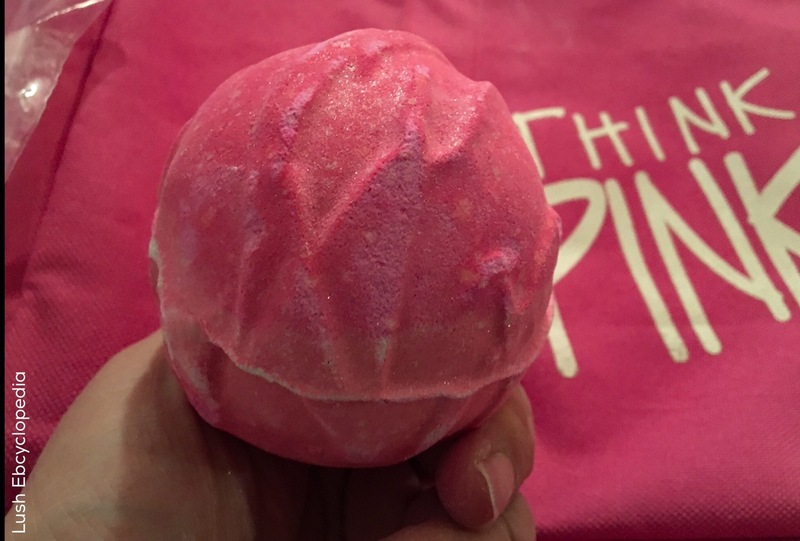 This is the newly redesigned 2017 Think Pink bath bomb. 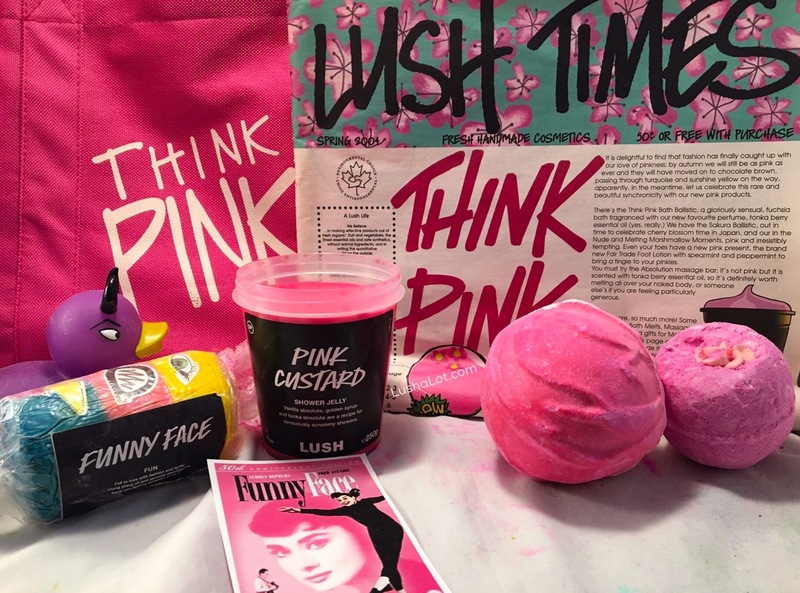 I gathered all of my Lush think pink products that thI’ve collectethroughout the years. My Lush Times 2006 think pink catalog. Funny Face fun bar from the Lush Summit. 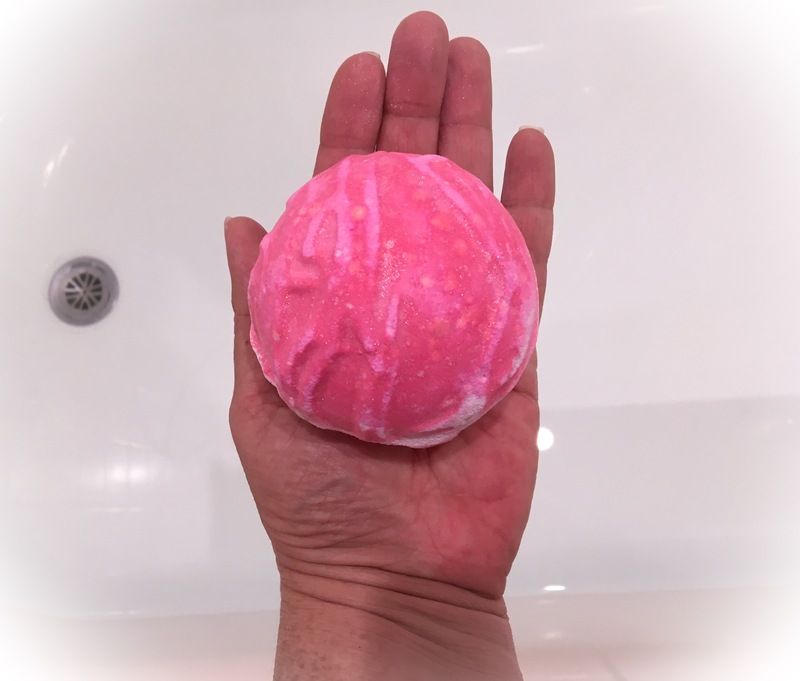 Pink Custard jelly which was made in the think pink scent, Limited edition dother’s ay 2017. 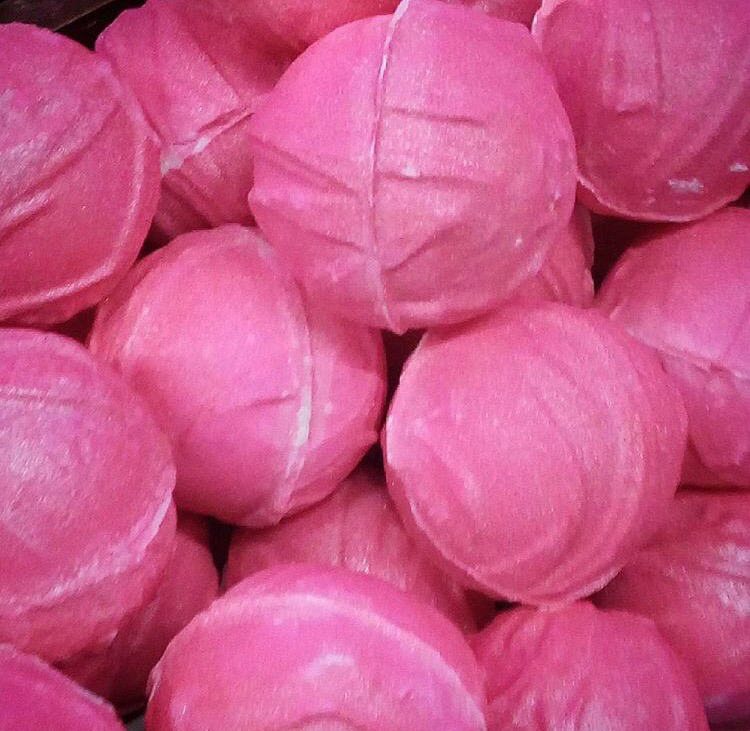 This is such a pretty bath bomb. It smells of vanilla, neroli, lavender and tonka bean. The first time I tried this I didn’t really like the tonka bean at all. I don’t But after using it again, wow, it’s fruity, and girly, and a tad foody, all at the same time. The orange-y neroli note is there, the creamy but not too sweet vanilla, the bright lavender. This makes water that is a pretty medium dark pink. The original one had candy hearts and tiny heart confetti made out of Soap. The redesigned 2017 version has silver glitter and is a 200g size instead of the 100g size. 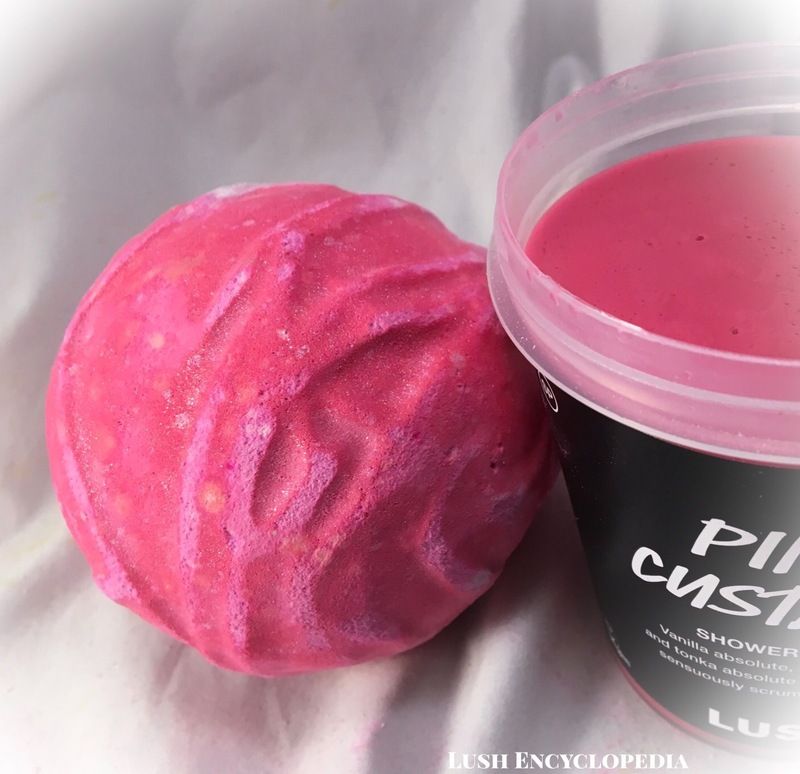 Lush Times 2006 Description: Darlings, this is the ultimate in fuchsia pink baths. 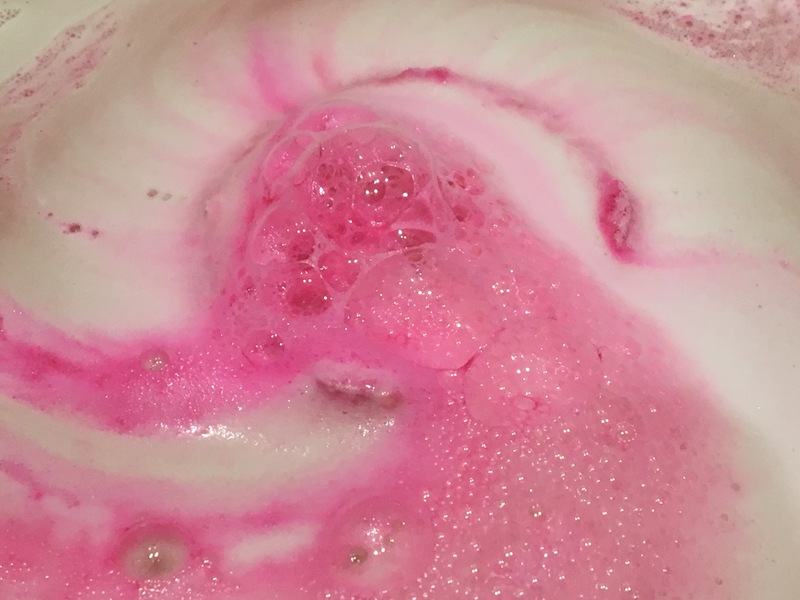 Four candy flowers top this marvel of utter pinkness and, as it fizzes furiously, it unleashes a shower of pink confetti into the bathwater. We’re using our brand new favourite tonka bean essential oil because it smells so wickedly fabulous, darlings! It also helps you to get in touch with your deeper emotions. Do be careful whom you meet for lunch just after you bathe! We don’t want to go eleasing our deeper emotions all over the starter and upsetting the other ladies, or do we? 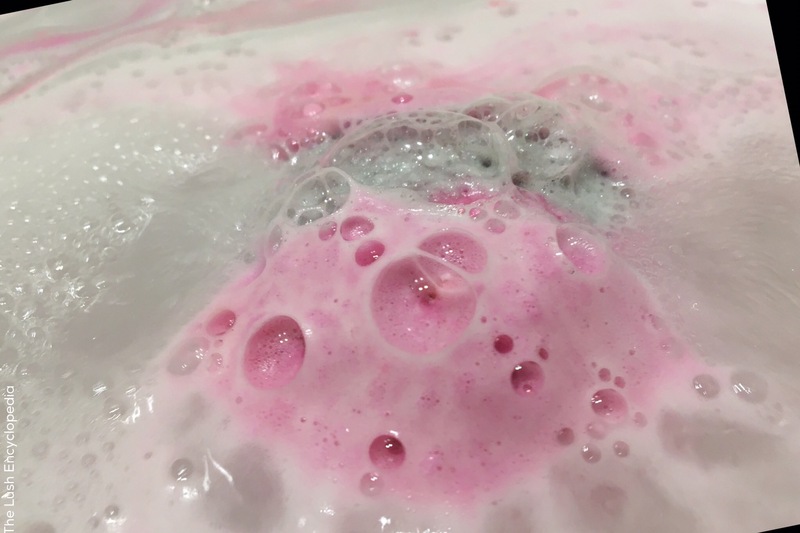 Posted on March 13, 2017 by Lushalot	• This entry was posted in Bath Bombs, Uncategorized and tagged think pink 2017. Bookmark the permalink.